Cindy Baldwin is a fiction writer, essayist, and poet. She grew up in North Carolina and still misses the sweet watermelons and warm accents on a daily basis. As a middle schooler, she kept a book under her bathroom sink to read over and over while fixing her hair or brushing her teeth, and she dreams of writing the kind of books readers can’t bear to be without. She lives in Portland, Oregon with her husband and daughter, surrounded by tall trees and wild blackberries. 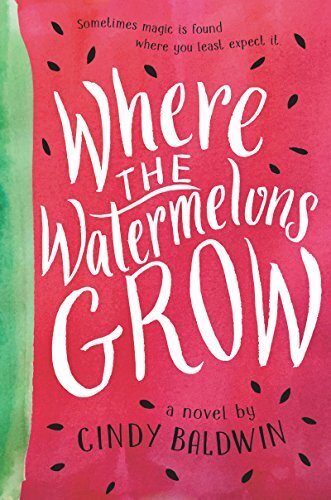 WHERE THE WATERMELONS GROW is her first novel.